Don't neglect your Web site. And consider hiring an 'information architect' to help structure it right. CHICAGO (MainStreet) -- We all love the satisfaction of a completed To Do list. So it's no surprise that once a company's Web site goes live, it gets marked off as another task accomplished and is promptly forgotten until the next redesign comes along. But a good Web site is never really "done." If it stays relatively unchanged for months (or years! ), that sends a powerful, negative message to potential customers, many of whom form their initial opinions of a company through its Web site. If that dated Web site also happens to be organized like a maze, with dead-end links and irrelevant content, those browsers might never come back. Increasingly, specialists known as information architects are being called upon by businesses to create an underlying structure that enhances ease of use for their Web sites. Once, Web sites were a high-tech novelty. Now they are a mandatory marketing tool. If you want yours to stand out, it may be time to assess how it's really working -- from the user's perspective. 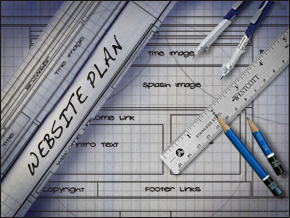 Designers and developers can craft the look of a site, while writers produce its content. But increasingly, specialists known as information architects also are being called in to create an underlying structure that enhances ease of use. "We are all about making information findable," says consultant Louis Rosenfeld, author of Information Architecture for the World Wide Web (O'Reilly Media, 2006) and a founder of the Information Architecture Institute. "Almost everyone has had the experience of using a Web site or mobile app and not being able to find what they want. There are lots of ways for people to browse, and we help businesses figure out how to help customers get to what they need." A site map, which gives browsers a general overview of all content, is the most basic element of a Web site's architecture. But a site map is just a bare-bones list of destinations. A well-designed site brings all those disparate subjects together in logical ways. Are products arranged in easily understandable categories? How hard is it to jump from one section to another? Are "Contact Us" links readily available to browsers who have further questions? Sometimes a Web site can be made more effective through relatively simple solutions, such as adding the ability to search or creating new, more clearly defined tabs and links. When it comes to a Web site's architecture, less can also be more; just because you have the ability to post all your past newletters online doesn't mean you should. "Sometimes companies inadvertently create a needle-in-a-haystack problem," Rosenfeld says. "If you study data on Web site use, you'll find that a small percentage of pages get the majority of the traffic. The same holds true with search. A few terms will dramatically outrank everything else." The takeaway? Focus your efforts on those pages that are viewed the most, keeping them constantly refreshed and relevant. Make sure that when someone types in one of those common search terms, they are directed to the right place and can access the right information instantly. "It's about being surgical," Rosenfeld says. "A Web site is not a democracy, where every page gets equal treatment. Do the work on the stuff that really matters." The best way to stay up-to-date on how browsers are using your site is to track and analyze what they're doing online, using a program such as Google Analytics. Search results can be especially informative, because they tell you exactly what your customers want; knowing what your customers are looking for can also give you a heads-up on possible brand extensions. While most small businesses hire outside experts to design their sites, it's crucial that owners stay involved in the day-to-day maintenance. "If a Web site is not constantly refreshed, it falls into what we call ROT: redundant, outdated and trivial," Rosenfeld says. "You need a process in place to handle that fine-tuning, and you have to allocate the staff time to do it. Totally outsourcing all the work on your Web site can destroy your brand. " Information architects are the research librarians of the digital age, guiding people through overwhelming amounts of data toward the exact resource they need. An effective Web site can direct users in the same way, but only if it's designed with their needs in mind. "Web sites are forums for us to have conversations with our customers," Rosenfeld says. "A Web site is not a monologue -- it should be a dialogue."